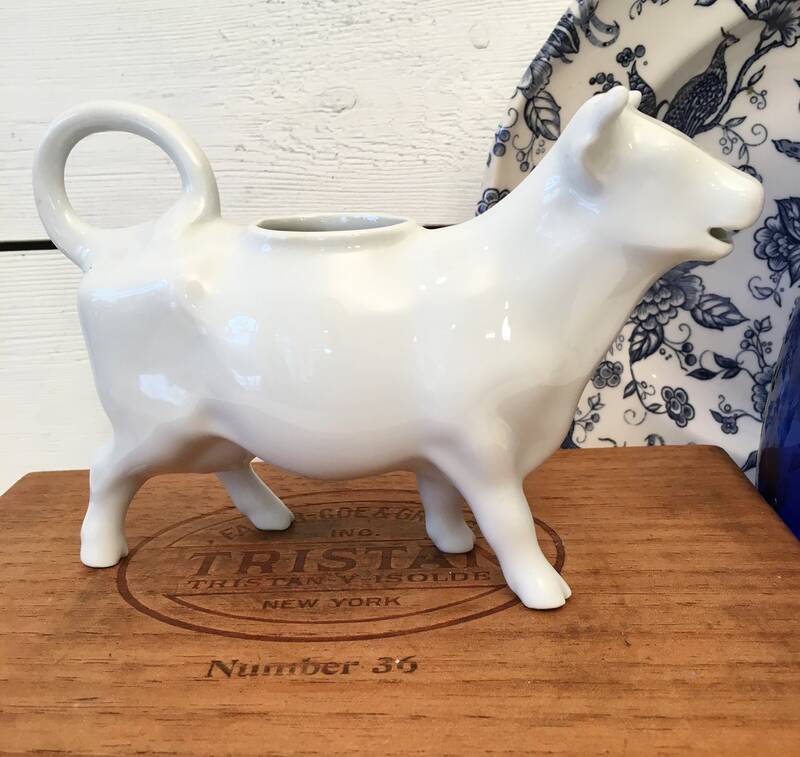 Sweet little vintage cow-shaped pitcher or creamer. This one’s from France and is stamped with Limoges France on the inside. 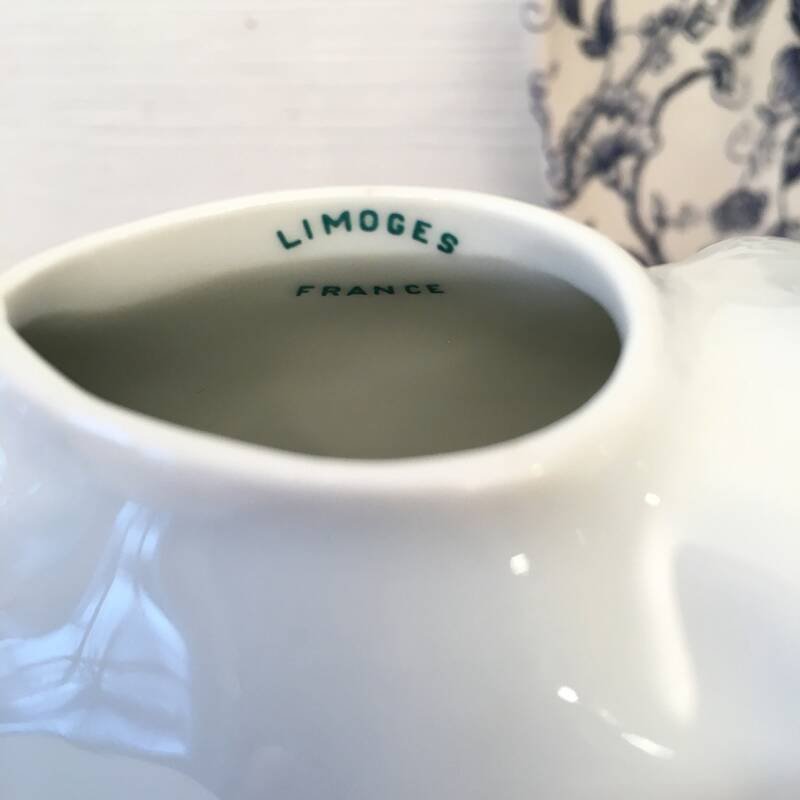 Limoges is very distinctive French porcelain. 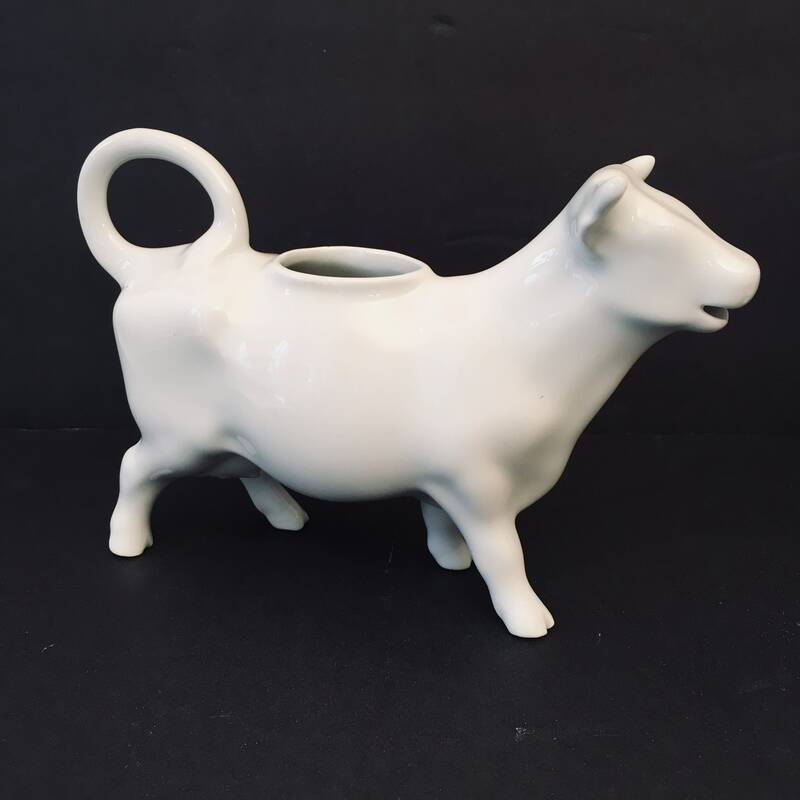 You fill it from the top and the milk comes out of the cow’s mouth. Very cute. It’s in perfect condition with a lovely lustre and no chips, cracks or crazing. 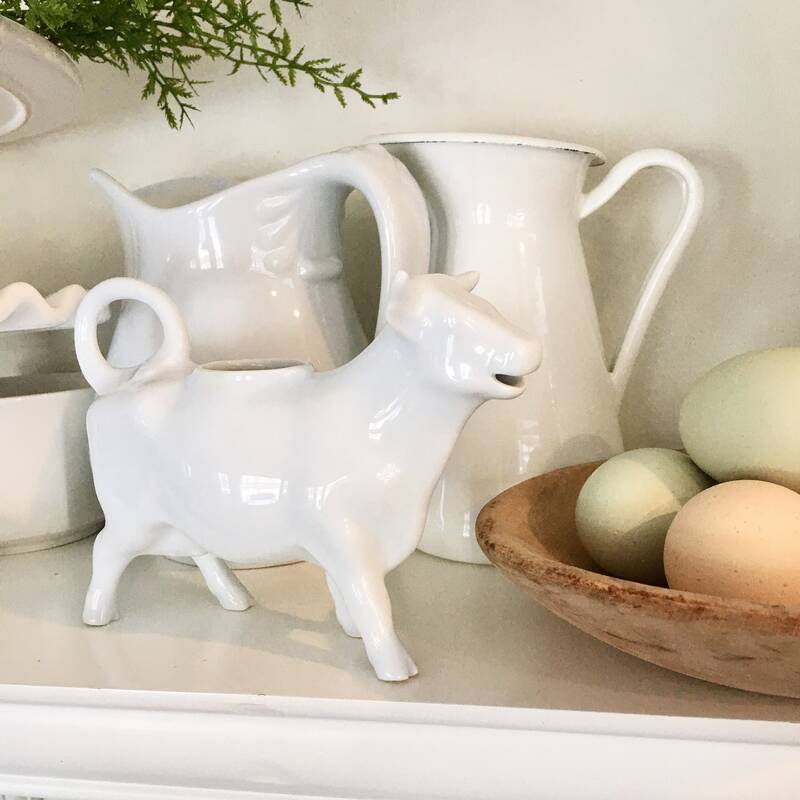 Very nice with any décor but particularly for a farmhouse setting. 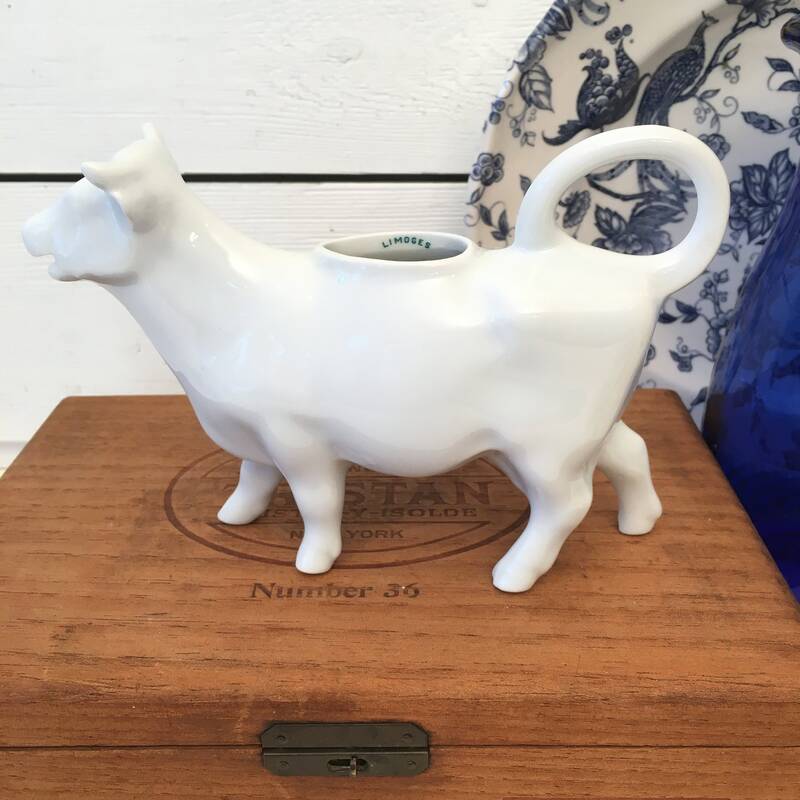 Nice to add to other whites as an interesting statement piece or give as a housewarming gift, bridal shower gift, birthday or Mother’s Day.